Diane Harmon is a Realtor® & Co-Team Owner of The Harmon Murphy Group, LLC with her business partner, Preston Murphy. Specializing in residential transactions, Diane's real estate team focuses on assisting buyers, seller, & investors across Escambia & Santa Rosa Counties. As a Pensacola native, Diane is well-connected and a trusted professional within the local real estate industry. Diane has served on the Board of Directors for the Pensacola Association of Realtors, the Associate Leadership Council for the top 20% of real estate agents at Keller Williams Realty, and she has generously given her time to numerous committees at the local level. If you're interested in hiring a true professional with the utmost honesty and integrity, then you won't be disappointed with enacting Diane Harmon to assist you with your next real estate transaction. Constructed by Kevin Ward with KW Homes. The home is located in Nature Trail, located on the south side of Nine Mile Road, one mile west of I-10 off exit 5. 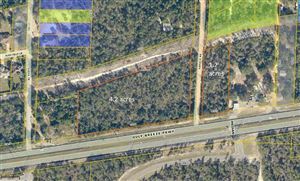 1.05 Acres ( $125,000) and 1.76 Acres( $199,900 ) for Sale on Scenic Highway. Not in a Flood Zone. Total Acreage is 2.81 Acres. MLS 490726 and MLS 490727 - 10000 Blk of Scenic Hwy. Welcome to Pensacola Florida home of Historic sights like Fort Pickens at Pensacola Beach where you camp and enjoy Pensacola Beach or you can find Beach Front homes and Condominiums as well as Attached Homes on the water. Why live anywhere else enjoy the beach every day. Portofino Condos on the Beach. Portafino Condominums at Pensacola Beach Florida-Portofino offers wonderful amenities such as Tennis, 8 swimming pools, indoor heated Olympic pool,spa, indoor jacuzzi, fitness center with steam and sauna rooms,dining and Conceriege. You'll also enjoy boat rides, kayaks and sailing. Easy walk over to the Gulf and enjoy chair set ups with umbrellas! All this and more just waiting for you to enjoy the Florida Life Style! Pensacola has some Great Historic Homes in East Hill and North Hill. Quaint cottages and homes that date back to the early 1900's or new homes built in Argon Court with Unique Cottage Style Homes as well as Downtown Historic Homes and Townhomes and Condominiums. Live minutes or a bike ride to Downtown Pensacola. Home of The Blue Wahoo Stadium, Dharma Blues, Pensacola Little Theater, Helen Back, Jackson's and Joe Patti Seafood. 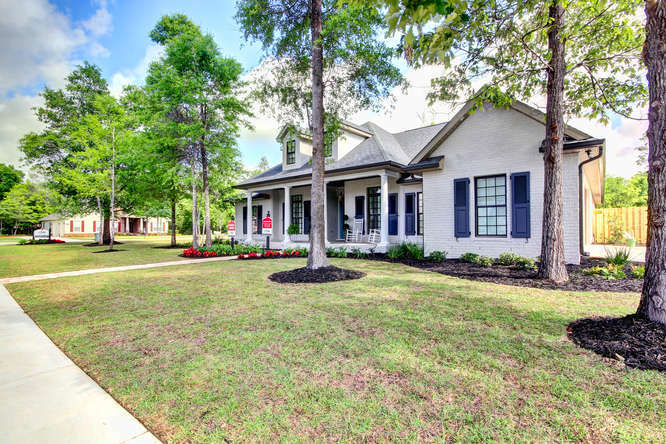 For our Military families who want to stay near NAS or Corry Station or near the VA Hospital there are some great communities near the back gate of NAS. Homes for sale in zip 32506 and 32507 in Pensacola Florida. Search communities like Heron's Forest a gated community with deeded beach access and a community pool. Seaglades, Emerald Shores, The Estates of Emerald Shores, Chandelle, Perdido Estates, Grand Lagoon, Leeward Cove, Landfall, Southwind, Chanticleer, Lillian Woods, Manchester and Southwoods with New Construction Search all homes near NAS and Corry Station. Homes for sale in Perdido Bay Country Club in zip code 32507 near NAS and Corry Station. Pace is a great community just outside of Pensacola. A short drive to Pensacola. Pace is know for it's laid back living and great schools districts. Homes in Pace are located in zip code 32571. View all homes for sale in Pace. Milton is located on the East side of Pace and located near Blackwater River and Whiting Field. Highway 87 takes you right into Navarre and a short drive to Hulbert Field and Navarre Beaches. You can hop on I-10 and head into Pensacola. Homes for Sale in Milton. Innerarity Island is a great place to live near Grand Lagoon State Park, Pensacola National Seashore, Innerarity Island, beaches, restaurants and great boat landings like Galvez. Hub Stacy's is located on site offering a great lunch and great bushwhacker's after a long day on the water fishing and boating. Homes at Innerarity Island, Condominiums on Innerarity Island. Condos for sale in Perdido Key - Lost Key in Perdido Key Florida - Framed by the natural beauty of Perdido Key, Lost Key is ideally located between historic downtown Pensacola and the pristine sugar sand beaches of Orange Beach and Gulf Shores. Lost Key Golf Redesigned by the Arnold Palmer Design Group in 2006, the par 71 signature designed championship course features the new Sea Dwarf Paspalum grass from the tee through the green for the optimum in quality playing surfaces and green speeds. Each golf hole includes five sets of tees, and offers players of all skill levels a unique visual and strategic playing experience. If you are looking for Gated Communities you can search for homes for sale in Nature Trail in Pensacola Florida. The Nature Trail Community features a 6,000 sq. ft. Lodge (Community Center) with swimming pools, tennis courts, playground, fitness center and 5 miles of walking trails through 400 acres of Conservancy Land that surrounds the development. Convenient to I-10 and to entertainment and shopping, this gated and guarded community is a great place to live. Home for sale in Nature Trail 8200 Foxtail Loop. Homes for sale in Stonechase located in Pace, Florida is a community featuring home sites with homes ranging from Patio homes priced from $170,000, to Estate homes with prices starting in the mid 200,000. This neighborhood is located in Santa Rosa County and conveniently located just east of Pensacola with easy access to Highway 90 and Interstate 10. The upscale community host a gated entrance, sidewalks and parks. This community offers the country lifestyle but only minutes to hospitals, schools and downtown Pensacola. Homes for sale in Stonebrook is a Gated Golf Community in Pace Florida with homes surrounding an 18 hole gold course in Santa Rosa County. There are a variety of homes that will suit any lifestyle and a highly sought after neighborhood. You have two tennis courts, beautiful lakes with fountains that adorn this esqusite community. High and low handicappers alike find happiness at Stonebrook Golf Club. With elevation changes, uncommon for this area, elevated tees and greens and picturesque fairways and water features, Stonebrook is considered the premier golf facility in the area. Recently, Stonebrook Golf Club and Tanglewood Golf and Country Club combined forces to offer you great golf at affordable prices. Homes for sale in Ashley Plantation in Pace Florida is great community that host home builders like Thomas Homes, DR Horton and other great builders. Another urban development hosting new construction at affordable prices. Homes for sale in Tamrell Forest another Thomas Home subdivision located in Pace, Florida. Homes for sale in Pensacola Eleral in Beulah in Pensacola Florida with Thomas Homes new construction. Homes for sale in Keystone a gated community in Pensacola. Huntington Creek is a new gated community located in Beulah just minutes to Navy Federal CU. You can purchase a lot and build your custom home. Gated and minuted to I-10 to Downtown Pensacola, NAS or Corry Station. How do I find the report card on schools in Pensacola Florida? Locate Schools and Report Cards here in Escambia County and Santa Rosa County. Escambia County Property Appraiser and Santa Rosa County Property Appraiser. HOMESTEAD EXEMPTION? Remember to file Homestead Exemption before March 1 of each year. Escambia County Property Appraiser and Santa Rosa County Property Appraiser. Contact Realtor, Diane Harmon or Realtor, Preston Murphy with confidence someone with integrity and honesty to serve you and all your Real Estate needs. We offer these services on this site for FREE and without obligation. We want to be YOUR real estate experts. As your trusted, professional real estate partner, we will help you find the best home in your area within your price range. And together we will sell your home, for as much as the market will bear, and as quickly as possible. We have a great track record for getting homes sold. As PENSACOLA natives we know the area well and will do our best to find you a great home for a great value. YOUR best interest is what is most important to us. Preston and I look forward to serving all your Real Estate Needs. Diane Harmon \\ Keller Williams from Movement Mortgage on Vimeo. Pensacola listings last updated Apr 25, 2019 10:48:am. Are you facing foreclosure? A short sale is an alternative that could save you! Call me 24/7 and let's discuss your optionss.